The quest for understanding the human mind has been one of the main desires of the human being throughout the ages. Today, Neuroscience implies all scientific communities, including biologists, physicists, mathematicians, computer scientists and philosophers to answer questions about thoughts, feelings, memory and others. In this quest for knowledge, Neuroimaging systems are invaluable tools in the understanding of the brain both for fundamental research and clinical diagnosis. However, recent improvements in deep brain imaging technology have been somewhat limited to incremental innovation of mature techniques. In this ERC Advanced Grant FUSIMAGINE, our goal is to introduce a breakthrough full fledged neuroimaging modality based on ultrasound. Thanks to the 2.5 M€ funding from ERC, our team at Langevin Institute will provide evidence that functional Ultrasound imaging of brain activity (fUltrasound by analogy to fMRI) could have a major impact in neuroscience from fundamental research to clinical applications. 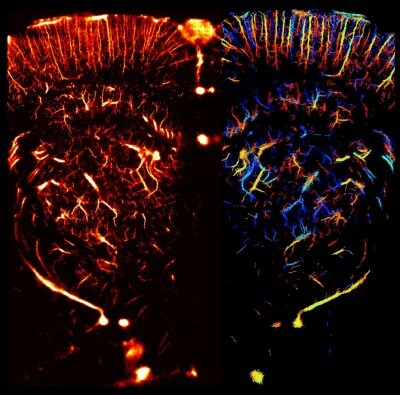 Functional Ultrasound (fUS imaging) is a real breakthrough in brain imaging : in neuroscience, fUS provides a unique real time, portable and deep brain functional imaging technique for awake and even freely moving small animal imaging, moreover with unprecedented spatiotemporal resolution (~80µm, 1 ms). Our first targets are small animal imaging for neuroscience applications and newborn brain imaging and peroperative imaging for clinical applications. Future development will enable the use of fUS through the temple window on human adults. 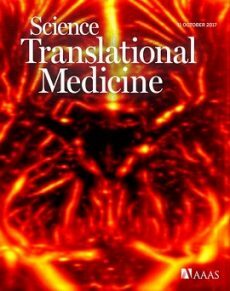 In the early 1990s, the advent of fMRI revolutionized the understanding of brain and paved the way for major discoveries of the last decades in neuroscience. However, fMRI also suffers limitations. 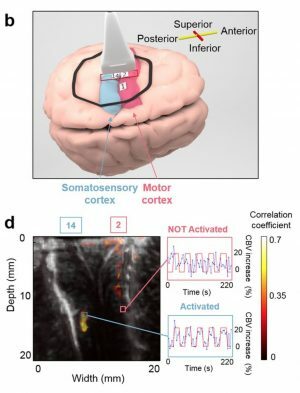 Spatially resolved fMRI is achieved at the cost of very high magnetic field and a substantial drop in temporal resolution and/or signal-to-noise ratio. For that reason, the imaging of transient events such as, for example, epilepsy is particularly challenging. Finally, fMRI is not suited for many clinical applications. Cost, size and portability of MR machines limit the patient accessibility to this modality. In neonatal pediatric neurology, fMRI is rarely performed because of specific issues concerning practical exam complexity. In neurosurgery, fMRI cannot be performed into the operating theater to monitor patient cerebral function. For all these reasons, there is always room for cutting-edge research in the development of new neuro-imaging modalities.